Another one of my 2019 goals (unwritten until this very moment) is to take every opportunity for a LEWK. 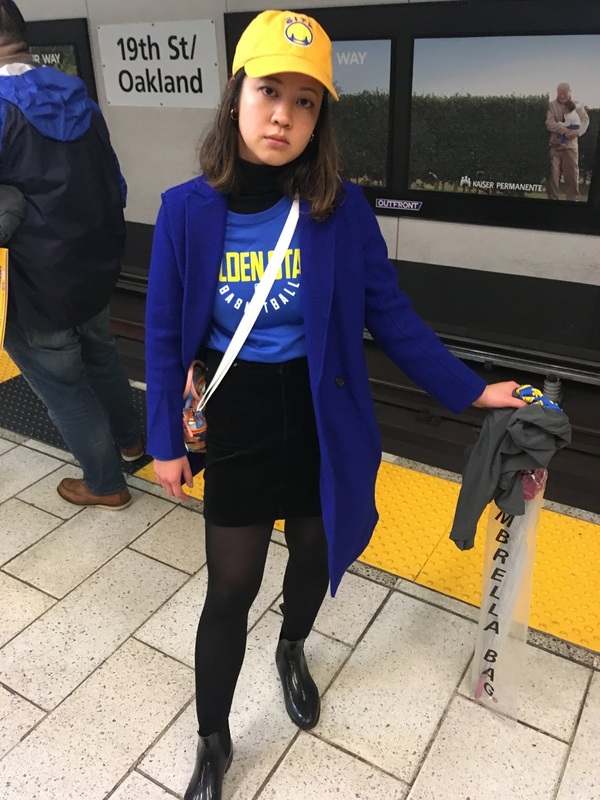 My friend Monica recently went to a Warriors game and let me know that the ladies watching from the stands were serving looks. 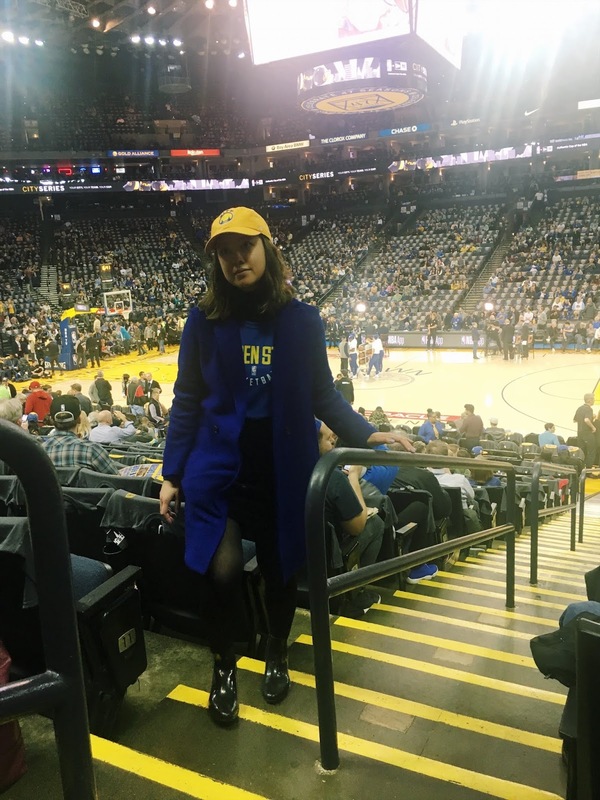 When Andrew invited me to go to a game with him, I knew this was a great opportunity for a basketball game day lewk. As I am not a true fan, I didn't really have any Warriors gear. 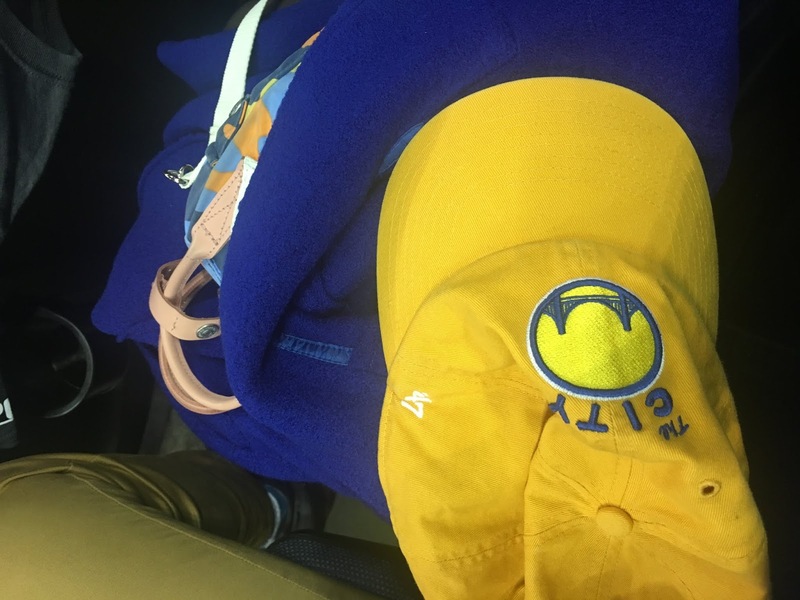 I already had this yellow hat because I liked how the bright yellow hat looked with the yellow interior of the logo. It paired PERFECTLY with my new bright blue blazer style coat from J.Crew (but purchased at Nordstrom). It was raining on this day so I opted for rain boots, but I paired a Warriors long sleeve that I got from my dad with my velour-style black skirt from H&M and tights. The turtleneck underneath would not have been my first choice but it was also frigid outside and I felt like it tied in the black bottoms with the rest of the blue outfit. I love dressing for a theme and thinking of sporting events in this way get me a lot more excited to go. Does anyone else feel the same? It's a hard balance though when you also could just serve up a normal good look without showing any team spirit and playing it "cool." That's not me though. I'm not cool and I LOVE A THEME! I thought this lewk was amazing and I had to share. Go warriors!